Plastpro PF Frames are full-length composite exterior door frames built to create a long lasting, rot-free entryway for your home. Together with Plastpro fiberglass doors, PF Frames create a weatherproof entry system to protect against the elements. Our rigid PF (poly-fiber) door frames provide you with a reliable and durable alternative to wooden door frames. 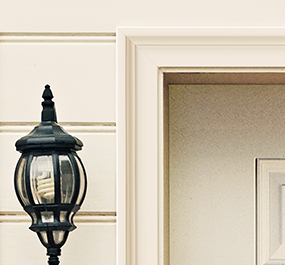 Traditional wooden frames deteriorate over time, leaving entryways vulnerable to the elements. PF Frames combine the strength and convenience of wooden door frames, but with enhanced properties such as twice the screw-holding power as wood. PF Frames are constructed with full-length PVC composite material. 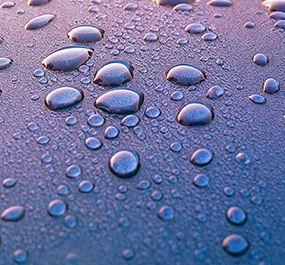 Our composite frames will never absorb moisture, rot, splinter, or rust like wood and metal doors. In other words: PF Frames are built to last. Our innovative PF Frames are machined like wood, look and feel like wood, and can be painted or stained just like wood frames. The noticeable difference comes down to the strength and durability. 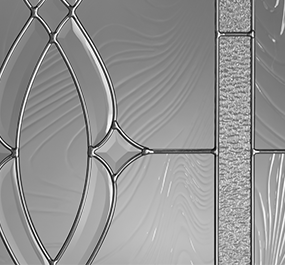 The closed cellular structure of our composite frames ensures that the molding will not absorb moisture, and that the frame will resist splitting, rotting and insect damage. While other companies may use a few inches of composite material jointed to wood at the bottom of their frames, Plastpro is proud to offer 100% full-length composite frames. Plastpro is the only manufacturer to offer full-length composite arch and radius frames, with sizes up to 17 feet. View the PF Frame product specifications document (3.1 MB). 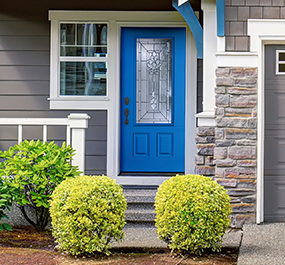 See how PF Frames work with Plastpro doors to create our innovative weatherproof entryway system: HydroShield Technology.